This is a great dish for a chilly Spring day. The sausage gives the beans and eggplant lots of rich flavor. You get the illusion of a hearty meal but it as actually pretty light...as long as you don't over do the big pieces of crusty bread you are going to want to dip into this classic Mediterranean dish. 1) In a large skillet on medium-high heat warm up oil and then sauté shallots, garlic, eggplant. mushrooms. Don't add salt until mushrooms are browned. Add thyme when everything is sautéed. 2) Remove vegetables from pan and brown sausage. 3) When sausage is cooked remove it from the skillet and pour in the beef broth. Bring this to a boil while you scrap any brown bits from the bottom of the pan. 4) When broth is boiling turn down heat to a simmer and return sausage and vegetables to the pan. Add the beans and warm everything through. Check salt and pepper. The longer you can let this sit the more flavor it will have but it can be served immediately with crusty bread dipped in olive oil or with a side of roasted potatoes and definitely a green like spinach. 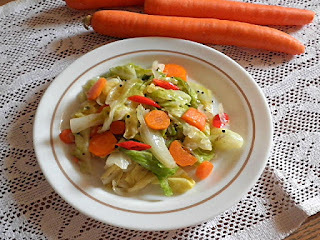 I don't know about you but I don't cook enough cabbage and it is a super healthy delicious vegetable. This is a simple yet different tasting recipe I'm sure you'll enjoy. This recipe is so simple but it is rich in flavor: bacon, barbecue sauce and honey...hmm good. If you grow zucchini you know to start collecting recipes now. These are a lot more interesting than my zucchini bread. Love the addition of cheese. I apologize now if I don't respond to your comments right away. I am having some gum surgery and I am not sure what kind of shape I will be when this post comes out. Diane, hope you have a speedy recovery!! Thanks for hosting...if they only made flavored gauze! thanks for hosting! appreciate the opportunity to share! have a great night! Thank you so much for hosting this recipe and foodie link up. Absolutely going to make the stir fried cabbage and can almost taste the Blueberry Corn Muffins that were linked up this week. Hope you feel better soon. Thank you for hosting each week and good luck with your gum surgery from someone who's been there. You'll be pleased you had it done for many years to come. I brought a southern favorite - pimento cheese, and topped it with a BLT, creating a new classic sandwich. That does look hearty! You've got a great collection in your link-up today. Lots of yummy dishes to click through and visit. A wonderful combination of flavors! Thank you for hosting. Wishing you a speedy recovery! I like this use of eggplant! Thanks for hosting DIane! Hope you have a great weekend! The sausage and beans look fantastic in your photo. My first thought was "wow!" Eggplant is a nice surprise. Thanks for hosting and hope you are feeling ok! Thanks for hosting another great link party Diane! Joining the link up again and enjoying the other amazing links! Thank you! Thanks so much for the feature! Hope you are recovering well, I have super sensitive gums so the thought of gum surgery sounds pretty dreadful! I need to add cassoulet to my foodie bucket list! I love the idea of a short cut version...sounds fantastic! What a great recipe. We will be getting eggplant in our CSA and I will give this a try! 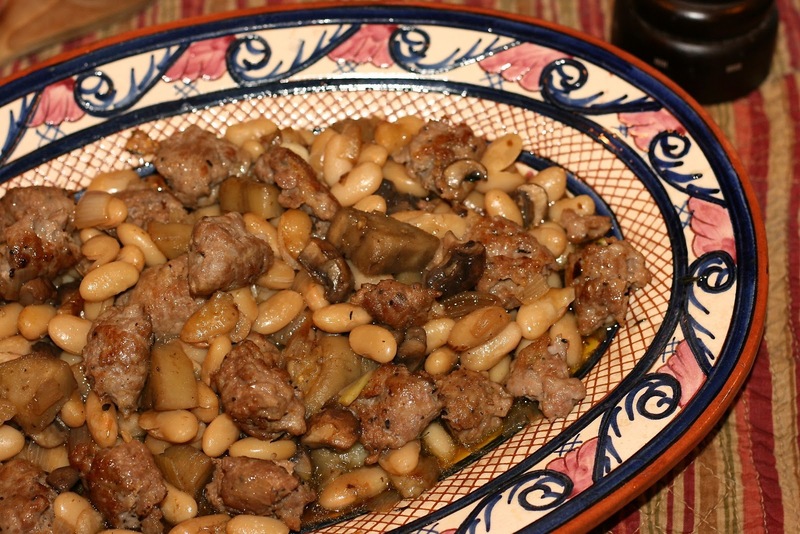 Your Cassoulet looks delicious. 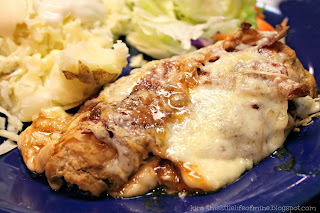 Thank you so much for sharing this awesome recipe with Full Plate Thursday. Hope you have a very special Mothers Day Weekend and come back soon! I hope your surgery went well and you are now feeling much better, Diane! Your cassoulet looks good, a lovely lighter alternative to traditional cassoulet with lots of delicious flavours.